Meru Governor, Peter Munya, has been exposed by a lady who claims that he impregnated her and then dumped her like garbage after she gave birth. 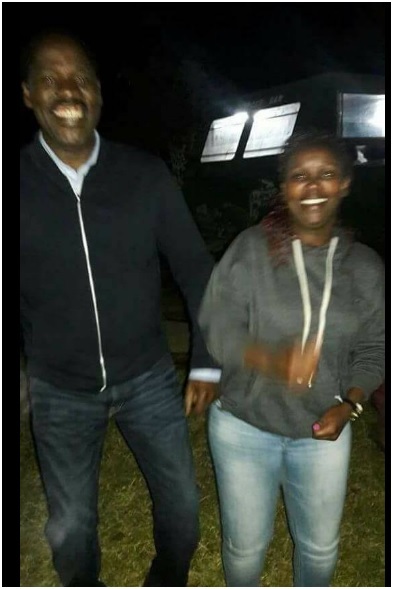 The lady claims that she met Munya in 2015 when she was a student at Kenya Medical Training College (KMTC). 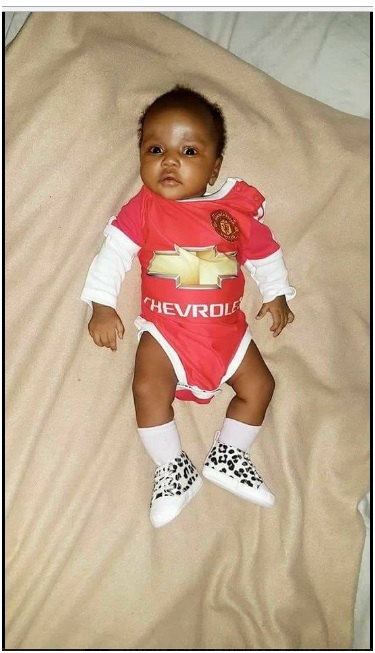 They started an illicit affair behind his wife’s back but things hit a snag after she gave birth. 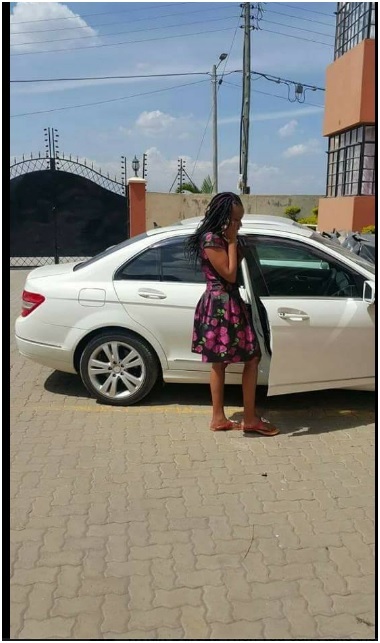 bring me shopping or tell me to go to Westlands where he had an office at Delta corner. 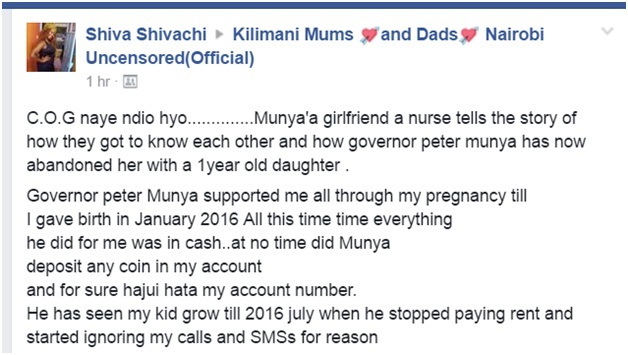 The popular Governor supported her pregnancy for a few months and then cut communication and started threatening her life. 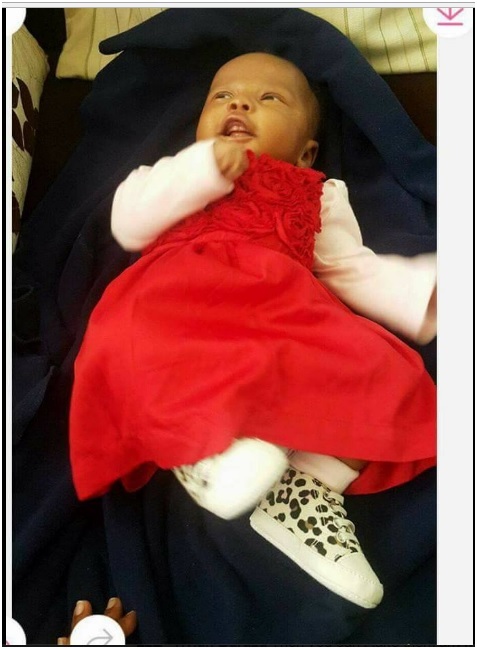 Last Tuesday, she texted the Governor telling him that their 1 year old daughter was sick and he didn’t reply. 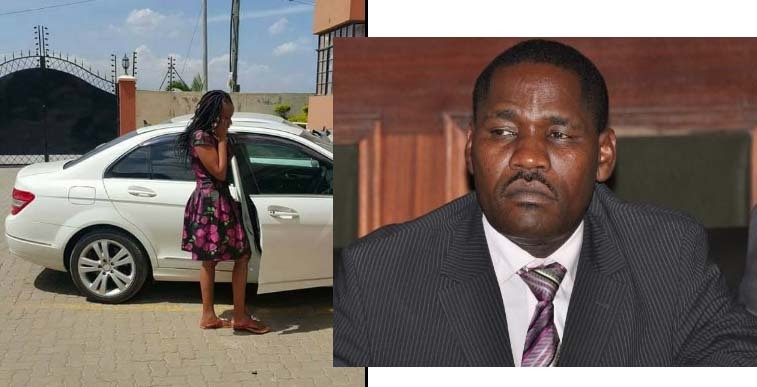 She wanted money to take the baby to hospital but Munya gave her a deaf ear. When she threatened to report him to police, he vowed to kill her. 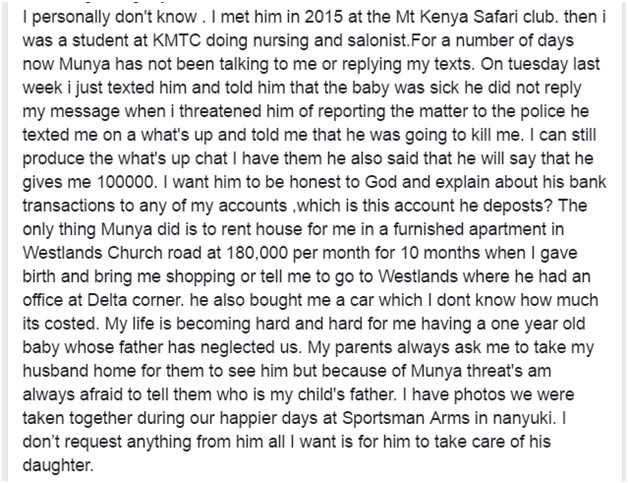 This is how the poor lady exposed randy Munya in one of the popular facebook groups and the photos she shared.